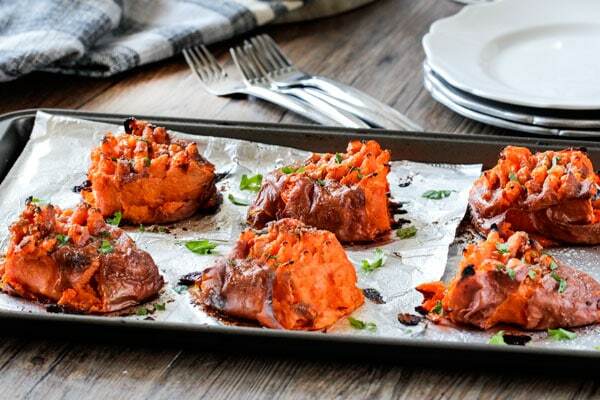 Completely customizable Smashed Sweet Potatoes with their tender inside and crispy outside make the perfect easy side or delectable snack! I am a long time fan of smashed potatoes. 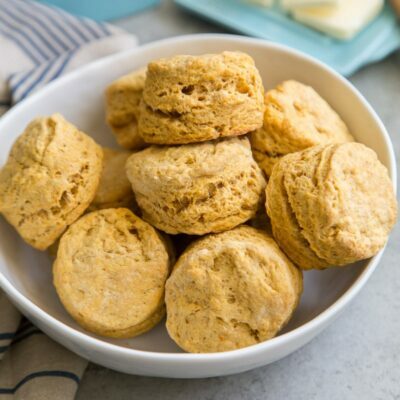 With a just a few simple ingredients and mostly make-ahead technique, these morsels are a go-to company side at my house that everyone always raves about. Now, with Fall in full swing (well, I’m trying to make it feel like Fall with food because its still in the 80s/90s here in San Diego! 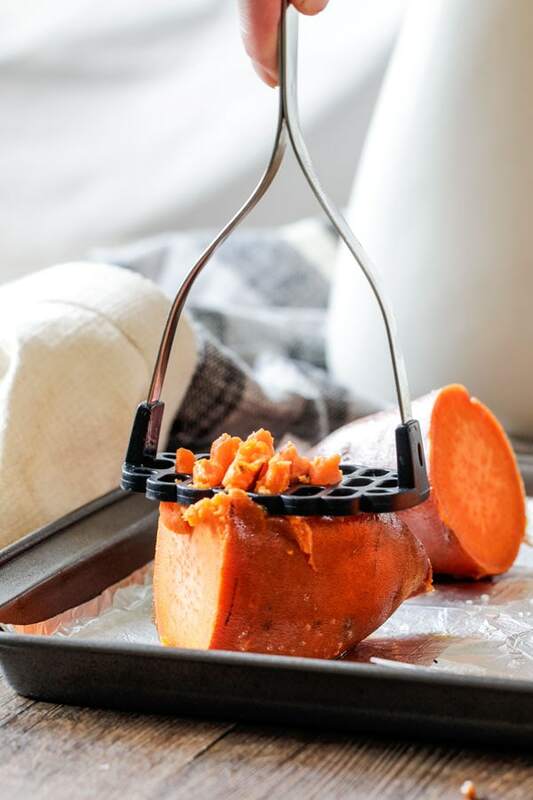 ), I was eager to try this same simple technique on sweet potatoes and the results were magical! Simply boil your potatoes until tender, cut in half, brush with olive oil, and lightly smash. Now here comes the fun part! You can smother these potatoes with whatever your heart desires. I topped mine with butter, brown sugar and salt but you could go with more butter/herb or butter/chipotle – anything you can dream up. And they will taste AH-mazing! Perfection every time. 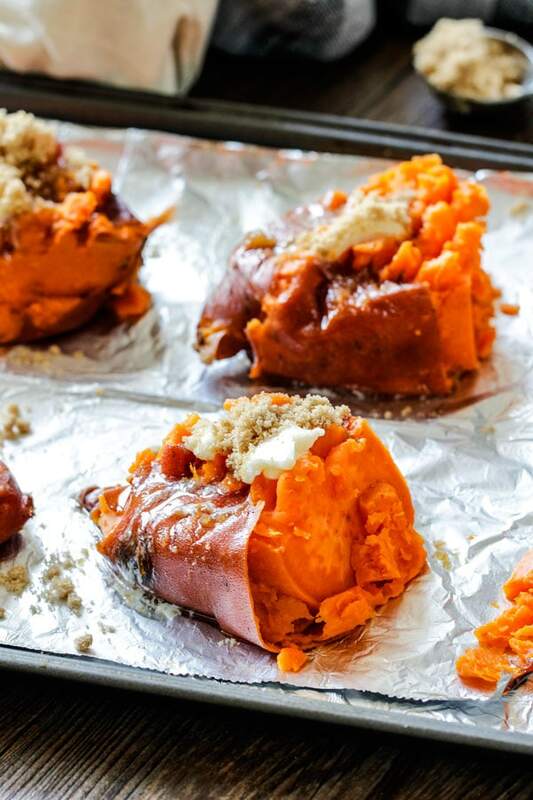 These Smashed Sweet Potatoes will make your taste buds happy! Happy Fall! Add the potatoes (skin on) to a large pot of boiling water. Boil 25 to 28 minutes depending on the size of your potatoes or until barely fork tender. You want them cooked through, but don't overcook or the skins will start to come off. Meanwhile, preheat the oven to 450 degrees F and line a baking sheet with foil. Carefully remove the potatoes from the pot and pat dry. 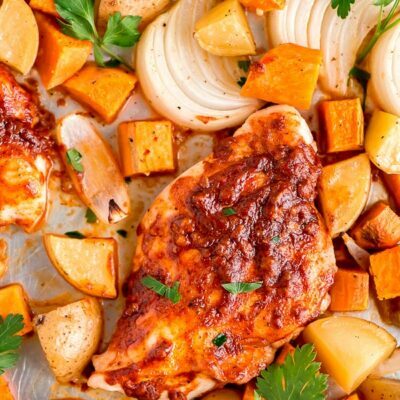 Cut the potatoes in half and set on the prepared baking sheet. Brush all skin sides of each potato with olive oil, and then slightly smash each potato. Top each potato with 1/3 tablespoon butter (more or less if desired) then sprinkle each potato with 1 tablespoon brown sugar and salt to taste. Bake for 20 to 25 minutes or until golden and skins are slightly crispy. Butter and brown sugar measurements are a guideline - use more or less as desired. 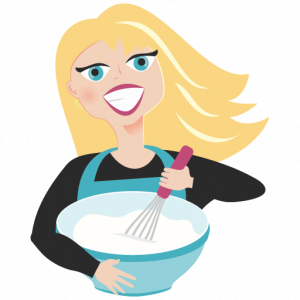 This recipe is a guideline for any variations you can dream up! This sounds delish. 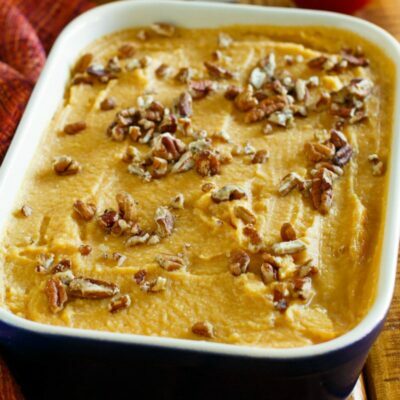 Could I microwave the sweet potatoes,rather than boiling them? I can’t wait to try this! Love sweet potatoes. This is a great recipe. I guess the sweet potatoes could be boiled ahead of time and finished in the oven later. Sweet potatoes are so good. I love adding a big pat of butter to the hot top and watching it slowly disappear in to the mound of potato. Yes! 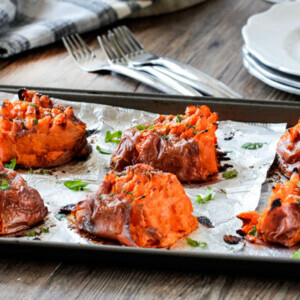 I love smashed potatoes and I never thought to do sweet potatoes! Yum! 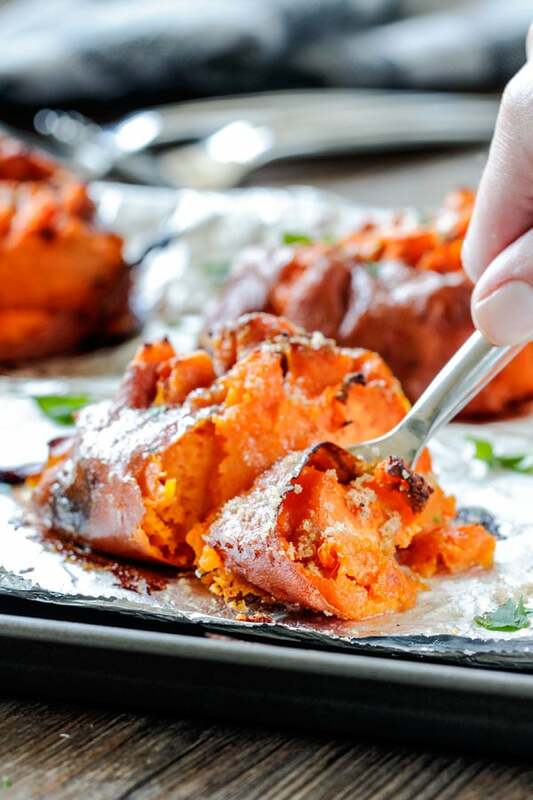 I love sweet potatoes and smashed potatoes so definitely loving this recipe. I like the idea of the chipotle butter – sweet and smoky!